Google has launched a preview of ARCore, a software development kit that brings augmented reality capabilities to Android mobile devices, including those without high-end hardware like depth sensing cameras. If that sounds familiar, it’s because Google already has an AR platform called Tango. But that earlier effort only works on a handful of powerful phones specially tricked out with the necessary sensors to allow you to place virtual 3D objects in a physical space and interact with them through your phone as if they were really there. With ARCore, Google is opening up augmented reality to many more users – the company says it hopes to get it to work on 100 million devices by the end of the preview. It also wants to get more developers involved in creating AR apps and content. Last month, it released Blocks, an app that lets you create 3D models and environments without the need for prior experience in the field (you will need an HTC Vive or Oculus Rift, though). So what can you expect with ARCore? 3D characters who can move around physical spaces, fun lighting effects like fireworks that look like they’re exploding right before your eyes, and virtual highways that you can draw and set robots to drive on in your living room. Yes, they’re mostly just toys for now, and as The Information notes, it’ll be a while before consumers begin buying truly AR-ready phones and start to see actually useful applications like floating maps with navigation assistance. 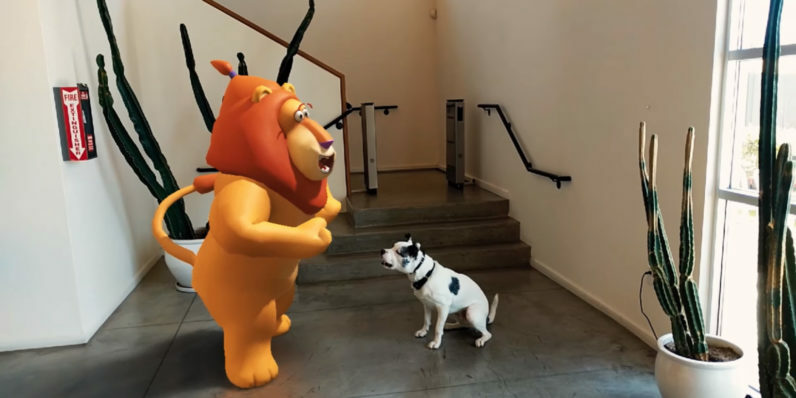 However, ARCore does give Google a shot at competing with Apple’s ARKit, which empowers iOS with the ability to run AR apps with fairly convincing lighting and object positioning. The appeal of the next iPhone will likely be boosted by its AR capabilities, and ARCore could help Android device makers ride that wave of excitement too. Google believes that in order to push AR even futher, it needs to bring augmented reality to the web. That’s why it’s building browsers that will support AR content in websites, and even allow them to run on both Android and iOS. Bringing AR to more devices certainly sounds interesting, but Google will need to continually work towards bringing more technology and apps to the table if it wants people to get into it. You can check out some AR experiments over at this showcase, find out more about ARCore on this page and explore Google’s code in this GitHub repository.